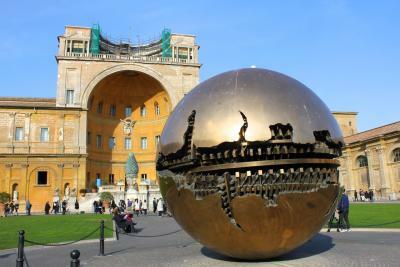 VATICAN CITY - An urgent call on climate action is being launched by bishops from all over the world following a recent report that underlines the need for policies limiting global warming to 1.5 degrees. Five presidents of continental bishops’ conferences, leaders of the Catholic Church, have signed a powerful appeal calling government leaders to tackle and overcome the devastating effects of the climate crisis. They have urged politicians to work towards an ambitious implementation of the Paris Agreement, which aims to keep this year's global temperature rise well below 2 degrees Celsius. They ask for the next United Nations climate change conference, which will take place in Katowice in December of this year, to mark a milestone in the path set out by the Paris Conference in 2015. The appeal was signed on Oct. 25 by Cardinal Angelo Bagnasco, Cardinal Salazar Gómez and Archbishop Gabriel Mbilingi, as well as Archbishops of Mumbai, Suva and Luxembourg. They were inspired by work done by many courageous actors, within and beyond Catholic communities, who have spread the Pope’s messages of Laudato Si’. The appeal aims to keep global warming below 1.5°C, and encourages a shift towards sustainable lifestyles. It also urges people to respect the knowledge of indigenous communities, and promotes the implementation of a financial paradigm shift that is in line with global climate accords. Bishops are also encouraging a transition to renewable energy, and are rethinking the agriculture sector to ensure it provides healthy and accessible food for everyone, with a special emphasis on promoting agroecology. Church leaders are illustrating a commitment to taking bold steps toward sustainability, crucial to climate justice. Around the world, the Church is engaged in concrete initiatives to shift towards more sustainable communities and lifestyles, including a global movement for divestment from fossil fuels and a growing engagement in the Season of Creation. “We are inspired by this call from the Church which recognises many of the efforts that Catholic organisations are carrying out to achieve climate justice, energy justice and access to food. We also feel supported in our call for a deep societal system change and are grateful to be part of a global movement calling for this. We believe this can only truly happen by shifting to a post-growth economy,” said Josianne Gauthier, CIDSE Secretary General. The appeal launch will take place on Friday Oct. 26 in Palazzo Pia.